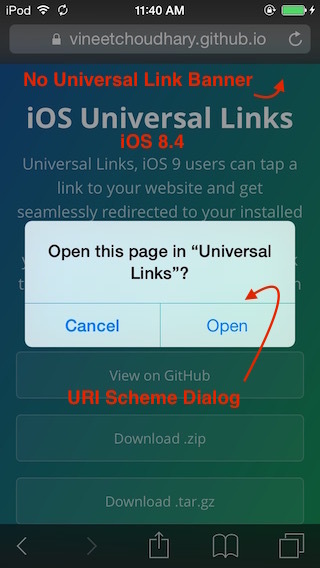 This post contains the answer of question, Is it possible to enable URI Scheme and Universal Links in the same app so that if an app is installed on an iPhone running iOS 7+ and on an iPhone running iOS 9+ the URL scheme and Universal Links will forward the user to the app? I created a demo app called Universal Links with Development target support of iOS8+ (https://github.com/vineetchoudhary/iOS-Universal-Links). 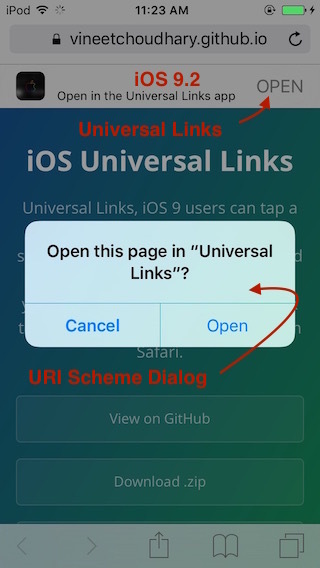 In which I support both URI Scheme for iOS8+ and Universal Links for iOS9.2+.